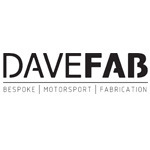 As some of you probably know we're two petrol heads called Dave (Welder Dave & 3D Design Dave) that decided to set up a design & fabrication business called DaveFab. We've both had a few 5's in the past and we use the current one (we've named it the D52, because of the whole stealth bomber thing) to develop parts. We started out making a few bits in our spare time, we were proud at the time, they were very very shiny. Some titanium, most aluminium though. We were quite proud we'd made a few bits, but they were all a tad raw. Not the understated, functional and clean look we were after, so after countless hours making bits in our spare time and loads of different finishes the engine bay looked like this. The engine was mostly original at this point, we developed our own scuttle intake that uses the stock size panel filter, a radiator cooling panel and it had a cobalt cat back exhaust. For the other bits, we developed a tower brace, a rear jacking bar/chassis brace and a brake master cylinder stopper. The car also had Koni suspension, and some sticky tyres. So it all was pretty sedate at this point. And then in April we took the car to the ring. The place amazes every time - Car Friday on the Easter weekend is mental. Lots of German beverages were consumed, many laps were done, and lots of plans were chewed over. So not long after we got back from our road trip (about 4 days to be exact) packages started to arrive. We decided to go Turbo, we've done TD04/05 in the past. While it was great and we love those set ups, we decided we had to use some modern technology. We've designed bits in the past for these turbos on other cars, and we just couldn't resist. We had rough power figure in mind for the car so after reading many compressor maps we decided a Borg Warner EFR 6258 in 0.64 trim was going to provide the desired wizzbang we wanted with good response. After spending an unusual amount of time staring at it, making turbo noises and spinning the compressor we turned our attention to the car. We had to get a few last pics of the car before we took it to bits. We couldn't wait to get rid of this. Quick compression test while we could, all seemed ok.
We then had a long long day. One Dave started to remove bits off the car rather rapidly while the other finalised the turbo location for the manifold. The following morning we got stuck back into it, removing the old 5 speed box getting the engine onto the engine stand. It's a great small package when you get it on the stand. Looks like the important bits have been cared for too. No sludge here! Brilliant; those EFR turbos are the dog's. Are you going to fit forged rods? So while the engine was on the stand this happened, more deliveries turned up. We got stuck into it while the sump was off to weld an oil return onto it. After seeing one extremely tidy 5 at the Nurburgring almost get a mahoosive bill because his power steering overflowed we decided to ditch the power steering. Feels good without it, certainly an improvement and less bits to fall off/leak. Started looking at the back of the car and decided we'd like to do something different with the exhaust. We decided this is quite whacky, but could look decent with the right bumper cut and diffuser. So it got modelled up in SolidWorks ready to get laser cut. In the meanwhile, our AEM X Series Digital Wideband needed mounting into the tombstone. So we got the 3D printer doing it's thing using a Carbon Fibre infused filament, and ended up with this. Looks good, it mounts using the original fasteners for the air vent on the back with cutouts for the wiring. Happy Days. Next on the job list was the Megasquirt DIYPNP kit. They get a lot of stick but we really like them. We've used them a few times, really like the flexibility with them. Next we turned our attention to the engine bay. Gave it all a good clean and put some heat protective tape where the turbo is going. Keen eyed will spot the new colour for the D52. The next steps we have to take (the best bit) is to fabricate all the components required. Starting with the exhaust manifold..
We've decided on a full 304 Stainless Manifold, all 3mm thick wall, with a billet collector and CNC ported head flange. Primary diameters are 1.5" ID. A lot of people turn their cheeks at stainless because of its bad reputation for cracking. There's a lot of reasons this happens, but it's usually improper gas coverage combined with a lack of turbo support. We started a 3D model of the design, and then designed the weld fixture around this. While we wait on laser cutting for the fixture, we started the color change on the D52. We decided on a vinyl wrap using Hexis HX2000 material. It's certainly different, and seems to vary hugely depending on the angle and lighting. And that pretty much brings you up to date with where we are at the moment. We'll post more as we get on in the next few weeks - we're hoping to get it ready for JDM Combe so fingers crossed we don't have too many hold ups! So much love for the ideas and quality of your work. Shame you don't do no 2.5 stuff! We're slowly expanding the catalogue, the washer bottles fit a 2.5. Jacking bars fit an NB as well provided 4 holes are drilled, we supply a fitting kit. Wow, that exhaust-turbo manifold is a piece of art. I'm only posting so I get to see all your updates. loving your products! Please make some rx7 parts in the future! Marc at Skuzzle says if that's for a BW you might find the stud for the brace might interfere with the IWG. It is for a Borg Warner, you'll have to tell him he need not worry so much. Unless we run 80mm+ studs I don't think it'll be an issue. That's with the actuator & rod clocked round as far as allowed by Borg Warner towards the turbo flange. In other news, we're pretty much there with the intake/radiator/intercooler/oil cooler design. We decided to go with a slightly smaller radiator core and use a Garrett intercooler core with our own end tank design to optimise the route. The rule of thumb is every 90 degree bend claims half a psi of boost. We'll do an update shortly.. This is all rather awesome! 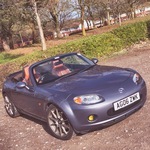 Will be following with interest, another '97 similar to mine albeit much much cleaner! More progress on the D52. Did the final torque up of the new rods and fitted a new oil pump as the old one was falling apart! Got the sump back on shortly after with the newly welded on oil return for the turbo. In between jobs we managed to get a bit of painting done while the sun was out. Mirrors, door handles, and windscreen surround are going gloss black. The biggest job now is the cooling system, for which we've just received the coolant reroute from Skid Nation. Lovely kit, very nicely put together and couldn't recommend them more. So it probably won't be until tomorrow that this gets sent off to the laser cutters.